SOMMspirations: The Zinfandel Capital of the World? 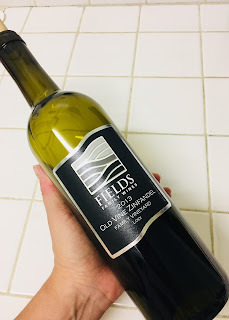 If you have read this blog before, then you know I am a BIG fan of the Lodi wine region. Lodi wines are quality, terroir-driven, and the value is unmatched! Your dollar certainly goes far when visiting and buying wine in Lodi. Did you know that Lodi is the Zinfandel capital of the world? Over 40% of the state’s Zinfandel comes from the Lodi AVA. There are over 125 winegrape varieties grown here, but Zinfandel is the true stand out. Zinfandel thrives in Lodi’s mediterranean climate. The warm, sunny days, and cool evenings (in other words, a wide diurnal range) help the grapes to ripen fully, yet not get too ripe, as can happen in places where the temps don’t cool down at night. Lodi is most commonly known for their Old Vine Zinfandel. In fact, Lodi has more acres of old vines than any region in California. While there is no exact definition of “Old Vine”, many vines are 50 years old, or more. When I visited for the Wine Bloggers Conference in 2016, I visited vineyards that had 100+ year old vines. Gnarly, old vines are fascinating to look at. There’s lots of twists and dark, old-looking wood. The yields tend to shrink the older the vines are, so each vine is precious, as more vines are needed to make a single bottle of wine. This wine is 85% Zinfandel with some Petit Sirah, Cabernet Franc, and Cabernet Sauvignon blended in for good measure. The Mettler family has been farming in Lodi for six generations. Their vineyard lies in the “Epicenter” of Lodi’s old vine Zinfandel district, hence the name. The grapes are organically grown. This wine is delightfully purple in color. The nose shows red plus black fruit (plums and prunes), black pepper, cedar, sweet vanilla, and molasses. There is an interesting earthy, smokey note. The palate: WOAH! Chocolate and coffee reign here. So much so that it almost feels like you are eating some sort of mocha dessert. Speaking of dessert, sometimes I opt to drink my dessert rather than eat it. I am not a huge dessert wine fan, so my dessert sometimes ends up being a nice, full, ripe dry red. This would be my “dessert” wine of choice. Oh and the finish on this wine….it never ends. A stellar showing for Old Vine Lodi Zin. The grapes for this wine are from 60-70 year old vines in the Family Vineyard in the Mokelumne River AVA of Lodi. This wine is medium garnet in color. So. Many. Raisins. Both on the nose and on the palate. Raisins almost always bring me to Old Vine Zin. Also, spice box (cinnamon, clove, nutmeg), vanilla, leather/saddle, plus cocoa/mocha. This is a special wine to be enjoyed slowly.